Convenient jar of peanut sauce. Can be heated then served as a dip for barbeque chicken or pork. The sauce is also a nice topping on various dishes, or just spoon some over freshly-cooked jasmine rice. Also see our peanut sauce recipe. This peanut sauce is used in our Thai Spareribs recipe. We also offer a great deal on bamboo skewers for use with this product. Note: This is a very convenient, ready-to-eat product. Consistency is thick, as shown below. It has a nice sweet flavor with a gentle spice. A similar peanut sauce (which takes a bit more time to prepare) is our Lobo brand peanut sauce. We prefer Lobo brand peanut sauce, which has a bit more spiciness, and is thinner. Just sharing our opinion with you :). Packed in a glass jar. Ingredients:water, sugar, peanut, coconut milk, onion, soybean oil, glucose syrup, salt, spices (turmeric, cinnamon, cumin, nutmeg, cardamom, corriander seed), chile, modified corn starch, lemongrass, tartaric acid, garlic, citric acid, paprika color. Peanut sauce is actually of Malaysian or Indonesian origin. Very few dishes served in Thailand actually use peanut sauce but it has become a very popular part of American-Thai food. The peanut sauce below is our favorite variation. If you prefer, peanut butter can be used rather than fresh peanuts. 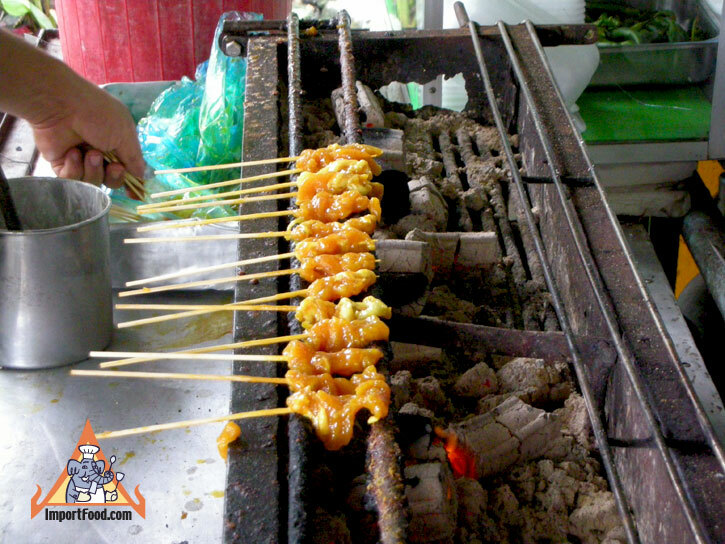 A quick and delicious substitute to the recipe below is our Lobo brand satay seasoning mix (peanut sauce mix). 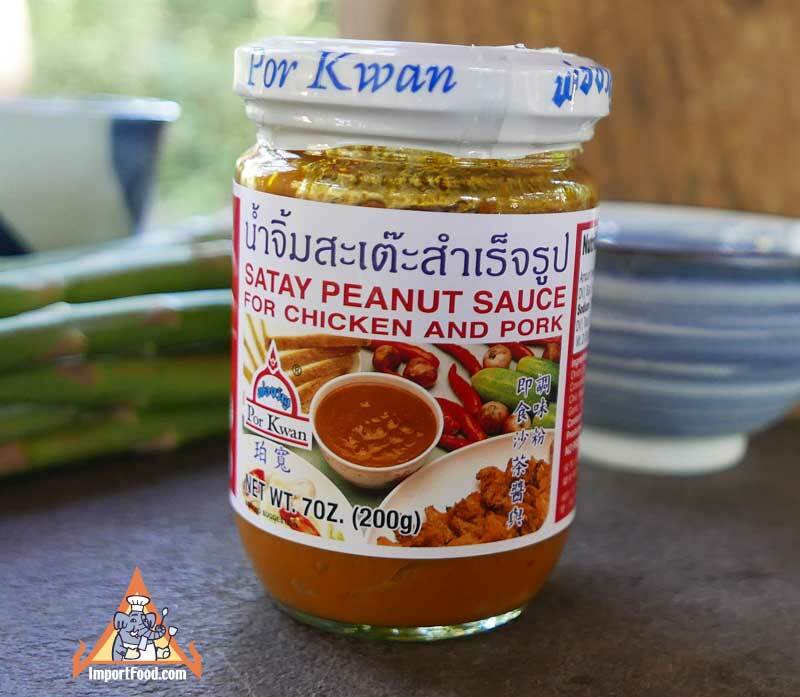 We also offer Por Kwan brand peanut sauce. Imported from Thailand and made of the finest quality ingredients.